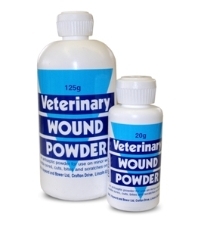 White Veterinary Wound Powder. 20g. An antiseptic powder for use on minor wounds, saddle sores, cuts, bites and scratches.